Venice is filled with palazzi—most famously the Doge’s palace—flanking the city’s numerous canals. While many of these palazzi are still in private hands, the cost of their upkeep in a city with a challenging, lagoon-based environment, forced many families to sell their ancestral homes during the last two centuries, donate them to the city, or set up foundations for their maintenance as cultural institutions. Some of these palazzi, now owned by banks or schools, are not open to the public. Others, including Ca Pesaro, Ca D’Oro, and Palazzo Grassi, have been turned into splendid art museums—or even hotels, like the recent conversion of the Palazzo Coccina Tiepolo Papadopoli to an Aman property. But a handful of palazzi remain that have been carefully preserved and provide an insider’s look at how notable Venetians lived from the 17th to 20th centuries. Whether you are visiting Venice for the first or umpteenth time, these palazzi are worth the visit. Ca Rezzonico. No palazzi pilgrimage would be complete without a visit to Ca Rezzonico, one of Venice’s most glamorous settings, celebrating 18th century Venetian taste and style in all its gloriy—and excess.The Rezzonico family, originally from Lombardy, purchased the palazzo in the mid-18th century and enlisted the best artists of the day, to decorate it. 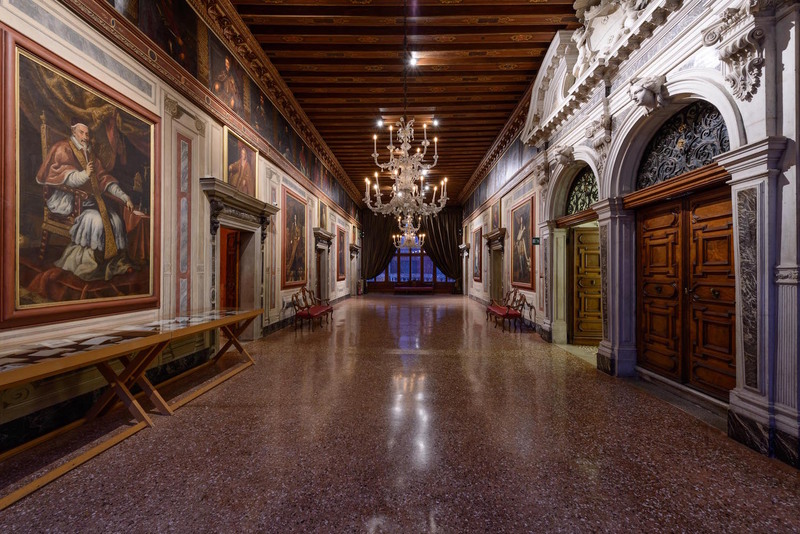 The palazzo represents Venetian decor at its max—with a lavish grand ballroom, frescoes by Giambattista Tiepolo and Pietro Visconti, rare Flemish tapestries and ornate gilded furniture— there’s even a Throne room, as they say, fit for a king (or Queen). The poet Robert Browning and song writer Cole Porter also lived here. Dorsoduro, 3136; tel. : 39 041 241 0100; carezzonico.visitmuve.it. Open April 1 to October 31, 10 AM– 6 PM; November 1 to March 31,10 AM – 5 PM. Closed on Tuesday, December 25, January 1. Palazzo Grimani. The home of a former doge, Antonio Grimani, this palace has only been open to the public only since 2008. It became a must-stop on the Grand Tour during the 1800s, thanks to the extensive collection of antique Greek and Roman artifacts, along with works by such major artists as Titian, Tintoretto, and Veronese, that were assembled by Antonio’s nephew, Bishop Giovanni Grimani. 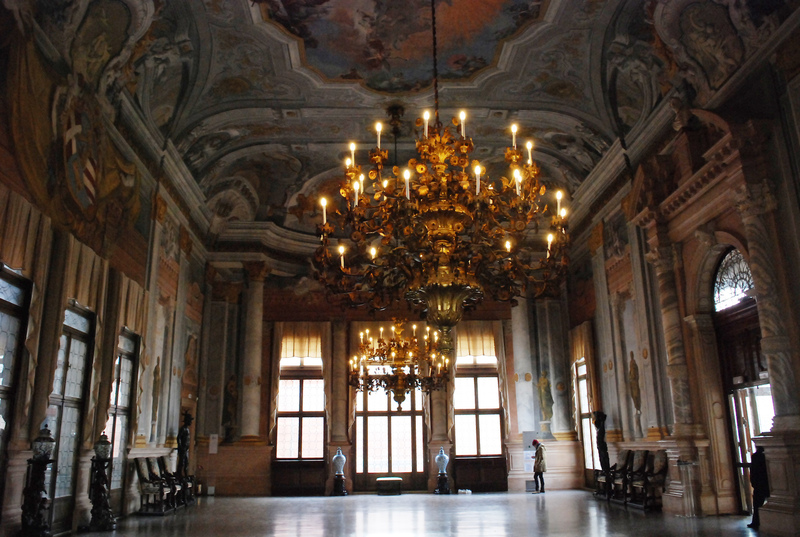 An exquisite Renaissance structure in a city dominated by Gothic architecture, the palazzo’s highlights include its Mannerist frescoes and elaborate moldings and stucco work, along with La Tribuna, a room decorated with architectural embellishments and the Sala ai Fogliami or Foliage Room, renowned for its naturalistic motifs. Today the palazzo also features contemporary art exhibits. The current show, Beverly Barkat: Evocative Surfaces, runs through November. Ramo Grimani, Castello 4858; palazzogrimani.org. For information and reservations: tel: 39 041 520 0345. Open Tuesday to Sunday, 8:15 AM to 7:15 PM. Palazzo Fortuny. Mariano Fortuny, a genius innovator whose talents spanned many fields—among them theatrical set design, fashion, and lighting—moved to Venice from his native Spain in the late 19th century. 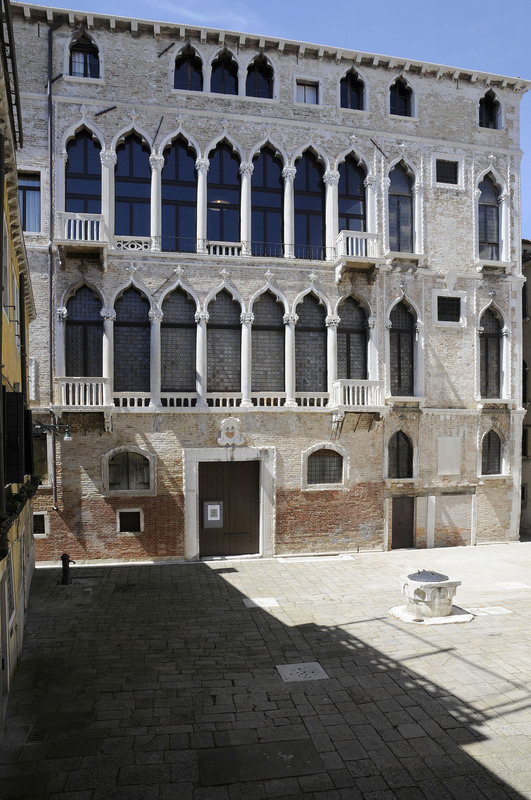 The large neo-Gothic palazzo in Campo San Beneto, where Fortuny and his wife Henriette, a noted dressmaker, lived was also his atelier and design lab. He set aside a number of rooms for his countless initiatives and for the art collections that would serve as inspiration for his projects. On the first floor of the palazzo, which was given to the city of Venice by Fortuny’s wife in 1956, you’ll find a salone displaying samples of his work; the second floor library often houses contemporary art exhibitions. There are roughly 150 paintings by Fortuny in the palazzo, along with a collection of his fabric designs, including samples of his world-renowned pleated fabrics, whose technique remains a secret to this day. San Marco 3958; tel. : 39 041 520 0995; fortuny.visitmuve.it. Open10 AM to 6 PM, except Tuesday (only during temporary exhibitions).The museum’s current exhibition, Intuition, looks at how instinct influenced art in various cultures and time periods (through November 26, 2017). Palazzo Cini. Now a house museum, this palazzo was owned by Count Vittorio Cini, a politician, businessman, and noted art collector. It provides a rare glimpse into the living styles of an aristocratic Venetian family in fairly recent (considering city’s long history) times—the 20th century. Cini worked with the finest art experts of his period, like Bernard Berenson, to assemble his extensive collections, which included major paintings, sculpture, rare ivories, porcelain, and furniture. In the first floor living quarters you’ll find the Renaissance room, formerly Cini’s drawing room, with the Judgment of Paris by Botticelli and the Madonna and Child by Piero della Francesca. The oval-shaped dining room was of relatively recent vintage; it was created in the 1950s to display Cini’s Venetian tableware and porcelain pieces made by the renowned firm Cozzi. The elaborate moldings were inspired by the Cozzi pieces. Next to the dining room is the Polyptych Room where you’ll find Quattrocento paintings and two altarpieces. Cini held many luncheons for the art historians and experts who helped him build his collections here. The second floor of the palazzo is devoted to exhibition space. Campo San Vio, Dorsoduro 864; tel. :39 041 220 1215; palazzocini.it/en/ Open through 15 November, 11 AM-7 PM; closed on Tuesdays. Palazzo Mocenigo. Seven Venetian doges came from the powerful Mocenigo clan, who helped rule the city from 1414 to 1778. The family’s Gothic-style palazzo on the Grand Canal was given to Venice by a later-day descendant, Alvise Nicolò Mocenigo. It opened as a house museum in 1985, offering not only a look into how the Mocenigos lived and entertained, but also how Venetian men and women dressed during the 17th and 18th centuries. 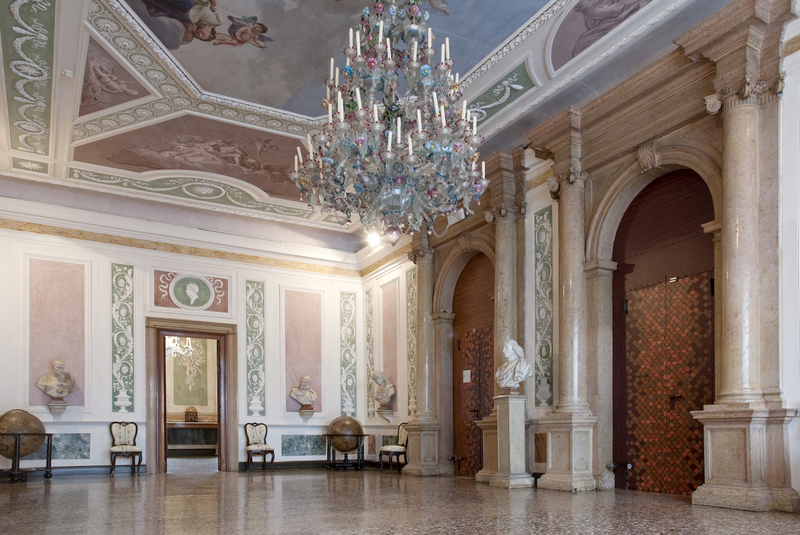 You’ll find beautifully appointed rooms on the piano nobile, with allegorical frescoes celebrating Mocenigo marriages; furniture from the 1700s and 1800s; family portraits; and a rare chandelier from Giuseppe Briati, one of Venice’s most celebrated glass artisans. The Venetian taste for ornamentation extended well beyond the home to men’s and women’s fashion. Period clothing with richly embroidered fabrics, intricate laces, and rare silks are displayed on mannequins in various rooms, along with fabric samples, some dating from the 13th and 14th centuries, that are part of the museum’s History of Fabrics and Costumes Study Centre. 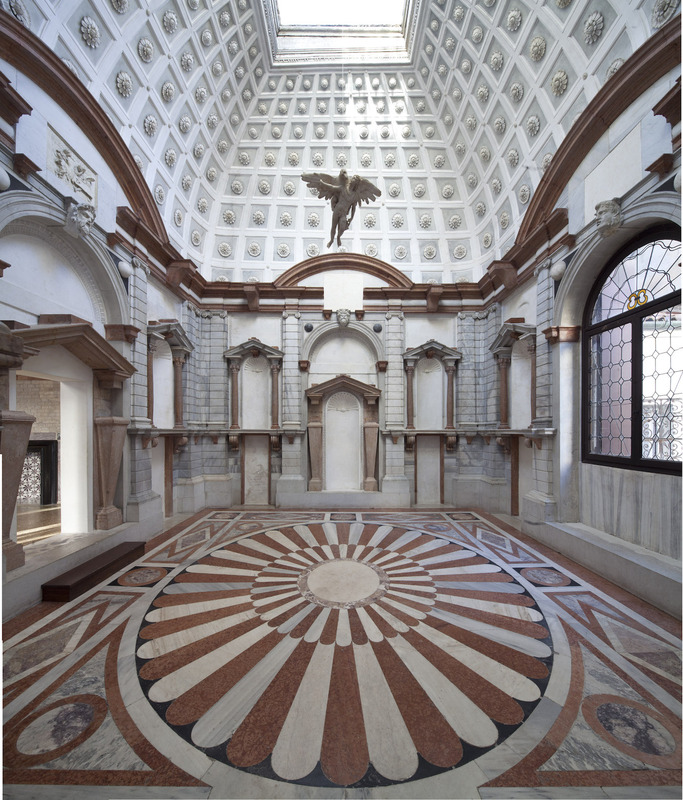 Five rooms of the palazzo focus on Venice’s role in the development of perfume. Santa Croce 1992; tel. : 39 041 721 798; mocenigo.visitmuve.it/en. Open April 1 to October 31, 10 AM – 5 PM; from November 1 to March 31,10 AM – 4 PM. Closed on Mondays, December 25, January 1, May 1. Palazzo Querini Stampalia. Count Giovanni Querini Stampalia, the last descendant of an historic Venetian family dating to the Middle Ages, left the palazzo and its collections to the city when he died in 1869. 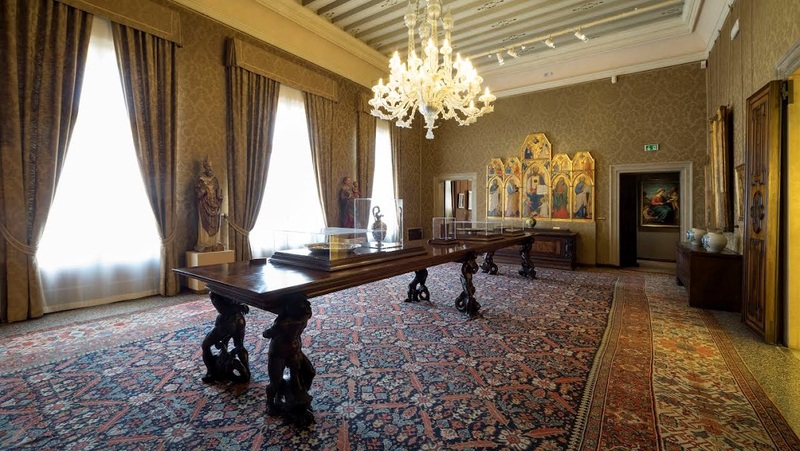 The family’s living quarters are well maintained, with a range of furniture styles that represent significant decorative arts trends during the history of the Venetian Republic. Giovanni’s father, Alvise, was La Serenissima’s ambassador to Paris; while in France he commissioned a special set of tableware from Sevres, part of which is on display in the palazzo dining room. The art collection includes pieces by Bellini, Tiepolo, and Longhi, as well as collections ranging from musical instruments to tapestries. An important part of Count Giovanni’s legacy is his Foundation, dedicated to promoting cultural studies. The bequest included a research library that would be easily accessible to the public. It remains open to this day, as per his wishes, when many other Venetian institutions are closed (on Sundays and many major holidays from 10 AM to 7 PM, otherwise from 10 AM and until midnight Tuesday through Saturday). The first floor of the palazzo and garden were refurbished in the 1950s by the influential Venetian architect Carlo Scarpa. Santa Maria Formosa, Castello 5252; 39 041 271 1411; querinistampalia.org. Tuesday to Sunday, 10 AM - 6 PM.